A fishway on the grounds of Maine Forest and Logging Museum in Bradley allows fish such as alewives to return to their birthplace to spawn. Drinking water for nearly 500,000 Maine residents will be protected under federal regulations announced Wednesday by President Barack Obama’s administration. The new rule aims to safeguard streams and wetlands from pollution and development. The rule, finalized by the Environmental Protection Agency and the U.S. Army Corps of Engineers, restores nearly decade-old protections for streams that feed the nation’s drinking water sources. Industry groups oppose the rule, saying it will prove costly to follow, hamstring farmers and infringe on the rights of private property owners. The rule aims to clarify the EPA’s authority over small waterways, in light of years of questions from members of Congress, state and local officials, environmental and agriculture groups, and scientists. The 1972 Clean Water Act gave the government authority to limit pollution in major water bodies, but subsequent legal challenges created confusion about the EPA’s jurisdiction over smaller waterways and wetlands. 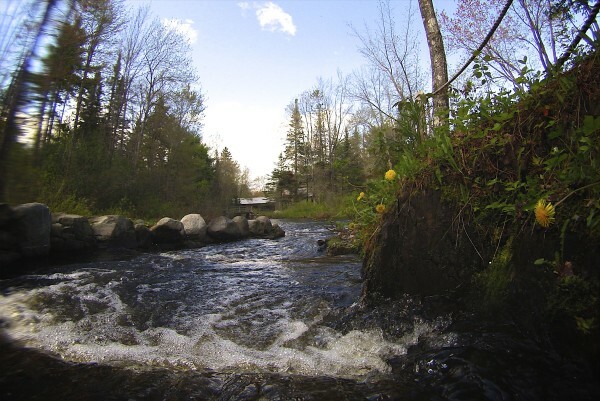 The new rule “defines and protects tributaries” that significantly affect the health of already protected downstream waters. The health of rivers, lakes and coastal waters depends on the streams and wetlands where they originate, according to the EPA. Streams and wetlands help to control floods, recharge groundwater supplies, filter pollution and provide habitat for fish and wildlife. Polluter lawsuits and Supreme Court decisions in the 2000s opened loopholes in the Clean Water Act that left more than half of Maine’s streams — nearly 25,000 miles — without legal protection, allowing polluters and developers to dump into or destroy them, according to Environment Maine. Maine environmental groups highlighted the leadership of former Maine Sen. Edmund Muskie in the 1972 landmark legislation, saying clean water is essential for agriculture, fish and wildlife and Maine’s recreational industry. Republican U.S. Sen. David Vitter of Louisiana, chairman of the Senate small business committee, criticized the new rule, saying small businesses were excluded from the rulemaking process. Senate leaders are determined to derail the new rule, and the U.S. House has passed multiple bills to block or weaken it.